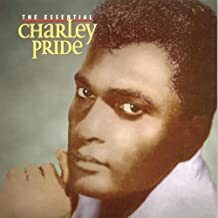 We all know he has a great voice, but did you know that for RCA records sales, Charley ranks second only to Elvis Presley. He is also big as an international artist performing in many of the European countries as well as Canada. He loves entertaining our service men and women who are stationed abroad and goes on many of the USO tours. He is a true gentleman and an inspiration to so many of his fans. For those of us that enjoy singing and playing his music, these Charlie Pride lyrics with guitar chords will help the beginner learn to play and sing more of his great songs. You’ll find songs like “All I Have to Offer You is Me”, “Burgers and Fries and Cherry Pies”, “Does My Ring Hurt Your Finger”, “I Know One”, “Is Anybody Going to San Antone” and many more. There’s also many other country artists song lyrics, if it’s an older song, we’re likely to have it and are adding more almost daily. There isn't many things that's more relaxing and entertaining than to sit down and play my guitar while my wife sings some of these country classics. Learn to play and sing these songs so we can keep them from being completely buried and never heard again. Keep on picking!! !